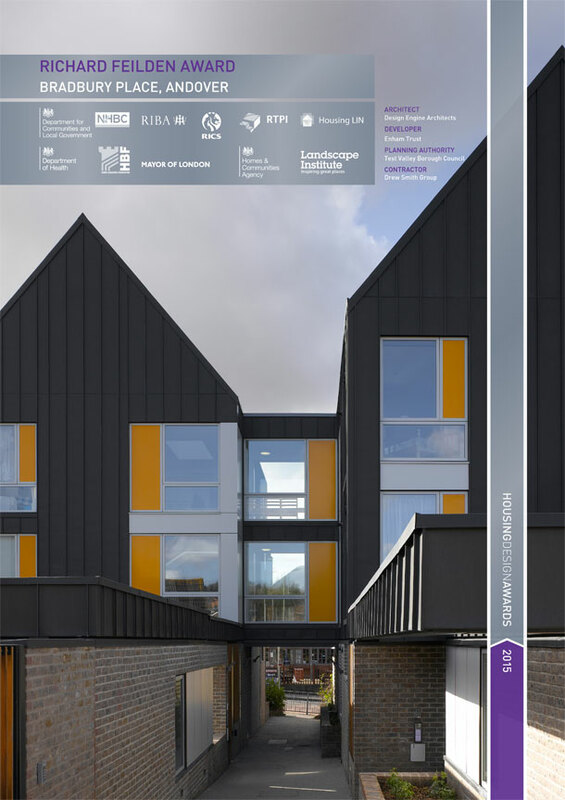 Home \ News \ Bradbury Place in Andover wins the Richard Feilden Award at the 2015 Housing Design Awards. Bradbury Place in Andover wins the Richard Feilden Award at the 2015 Housing Design Awards. Bradbury Place in Andover, our first urban housing development for disability charity Enham Trust, last night picked the Richard Feilden Award at the 2015 Housing Design Awards. We were certainly in great company as other notable winners included Allies and Morrison, Proctor and Matthews, Henley Halebrown Rorrison and overall winners Evans Vettori for their Parkside scheme in Derbyshire. Bradbury Place has been specially designed to provide eight one – and two-bedroom wheelchair-accessible apartments, within 500 meters of the town-centre of Andover.